This thriving fruit winery on the Naramata Bench was given additional production area by moving the offices into a newly constructed mezzanine projected over the orchard. 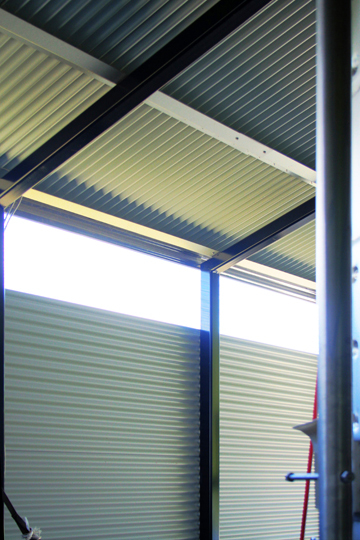 The existing open crush pad was covered with a light weight steel roof, and the back half converted to cold storage. A shaded outdoor walkway leads to new meeting and staff areas, with views over the apple trees to Okanagan Lake.